Most hot water heater repair parts are around $10-$25, which helps us to affordably fix our own machine. Have you ever heard something that sounds a bit like a laughing raccoon on helium gas coming from your hot water heater? The positive side of when yours decides to stop working is that 90% of the time you can fix it by only having to replace one or two of the heating parts. Plumbing can be a pain if you try to repair a project without knowing what is right from wrong. The blessing in disguise is knowing that there are such places as Home Depot‘s and Lowe’s that will help you get the job done with the right appliances. Something that most aren’t told is that water heaters last up to 10-15 years maximum. If your machine is reaching the highest of those ages, know that you probably will have to buy a new one soon. Unless this machine has been with you through thick and thin and you call it your best friend, then keep it and hire someone who can refurbish it completely. We all have something that we find hard to let go. Mine is my childhood sesame street houseshoe. Yes, just one house shoe. The other house shoe’s ending destination is still unknown. The first step recommended is that you double check your circuit breaker to find that it is still running. Look above your upper thermostat and press your reset button on the cut off for high temperature. Sometimes those two tricks fix your problem, but if they tripped initially, it could be an issue with the electricity. You absolutely do not need a plumbing license to inspect and restore your heating parts. Test your heating elements. The root cause could be your thermostats or cut off switch if the heating part is running well. It’s a little complex to test, but the cost of replacing them together is around $20. Not bad at all. Time is money for some, so paying a professional is usually best. But anything is possible if you’re willing to put in the effort. Go ahead and completely turn off all the electrical connections that may be operating by using a voltage detector (if you have one). These make a small tone or illuminate to let you know if there is power being carried out. Some voltage detectors online are only eight bucks! 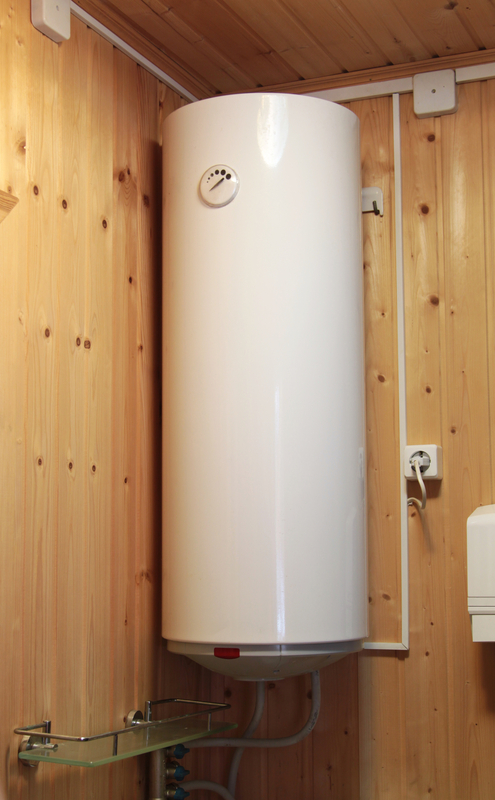 On most of these electrical commercial and residential hot water heaters, there is a top and bottom heating component which are maintained by two different thermostats and are never running simultaneously. Immediately after the top one shuts off the bottom begins its heating process. This routine ensures that the temperature of the water is thoroughly distributed in each drop. The machine doesn’t have much to it when you look at an x-ray of it. The majority of it involves a few small running parts, and the largeness you see is just the shell with insolation to help with the consistent heating job. It pays to know a little bit about how to fix these machines. Even knowing a bit of how to fix certain aspects of it makes a big difference. If something smaller were to happen and you didn’t see that it was easy to repair, that would result in you with having to pay someone more than necessary. This scenario could be dangerous or a simple fix. Go to your hot water heater and look at the thermostat. Label or mark the current setting and then turn it down to a cooler one. You should notice a difference within a few hours. If the water is still too hot, inspect the faucets around your home to find out if there is steaming hot water coming out or not. The problem could be it not shutting off when it’s supposed to and going above the set temperature. Be careful that you don’t allow this to continue on longer than 24 hours. Call a specialist if you are unsure or worried about it exploding. The few tips I gave you at the beginning of this article are minor compared to your mechanism overheating. After trying to turn down your thermostat temperature, you should call someone for further help if matters don’t improve. When in doubt, seek help. Plumbers don’t always fix small matters. Most of the time they save lives.